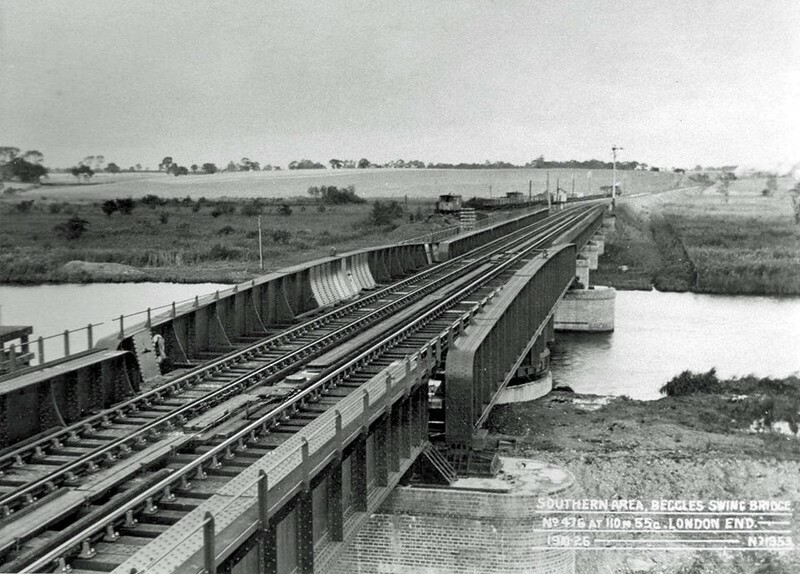 Beccles swing Bridge between Beccles and Aldeby c1927.The view is facing north towards Yarmouth South Town. The bridge was opened in 1926 and replaced a previous single track structure. In the picture the old bridge has been demolished, but some track remains at the Yarmouth end. The bridge along with the one at St Olaves were expensive to maintain. This resulted in the closure of the through section between Beccles and Yarmouth South Town on 2nd November 1959. A 30 miles per hour speed restriction was imposed on the structure.